Born in Bologna, Italy, pianist and composer Marco Di Marco studied classical music in his youth with Enrichetta Sansilvestri, and in his late teens he studied harmony and composition with the eminent maestro Giordano Noferini. In June 1966 he graduated in Economics and Commerce at the University of Bologna. In November 1970 he recorded his first album in Paris, “Un Autunno a Parigi”, with Jacky Samson on bass and Charles Saudrais on drums. His second LP “At the Living Room” was recorded three years later, also in Paris, in trio with Samson and Saudrais. During those years his fame spread rapidly throughout Europe; Di Marco performed on French and Italian radio and television stations, and participated in many important international jazz festivals. In 1974 he recorded, again in Paris, a new album called “Together in Paris” in sextet with the celebrated American alto sax and flute player Chris Woods. In 1975 he received the “Golden Neptune Award” to the best artist in Bologna for the 1974. In 1976 he records again in Paris his piano solo live recording “ In Concert”. Di Marco has recorded numerous records both as a solo artist and together with many renowned musicians, all of which have been received entusiastically by journalists and critics. Throughout 1977 and 1978 Marco Di Marco performed on Italian and French television, sometimes solo but also with French pianist Martial Solal, and as part of a trio or quartet together with Chris Woods. In 1979, during an Italian tour with American pianist and composer Jack Reilly, he recorded the live album “Marco Di Marco/Jack Reilly”. In 1981, Marco Di Marco made his debut in the United States. He performed in New York at the Jazz Forum on Broadway, at Cami Hall, at Gulliver’s Club, and he also played an unforgettable solo piano recital at Carnegie Hall. “Marco Di Marco quartet in New York” was recorded during that same period in New York in collaboration with Dave Tofani, Jack Six and Ronnie Bedford. In 1983 Marco Di Marco performed at many concerts (which were aired on Italian Television) in trio with Niels-Henning Ørsted Pedersen and Philip Catherine. Also in 1985 his music was recorded for a Fonit Cetra production and compiled an LP called “Lucio Dalla/Marco Di Marco”, a collaboration in quartet with Lucio Dalla, Jacky Samson and Charles Saudrais. This success lead to another Fonit Cetra production the following year. For which he recorded the album “Suite Parisienne” in Paris in trio with Jacky Samson and Charles Saudrais. This work contains Di Marco’s compositions as well as a large part of his recordings. 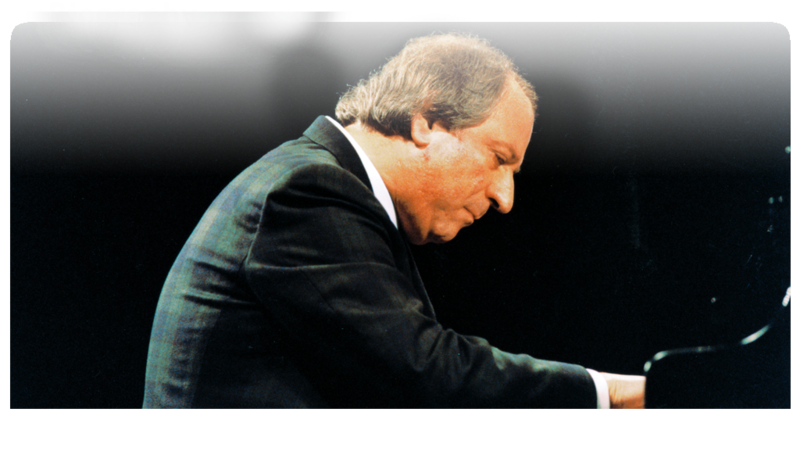 In March 1989 he recorded live in concert with the pianists Georges Arvanitas and Mike Melillo the compact disc “One Night for 3 pianos”. During those years Di Marco performed on French, Italian,and American radio and television stations and participated in many important international jazz festivals and concerts. In October 1993, following a tour in the Usa, Di Marco recorded his tenth album in New York “Marco Di Marco trio in New York / SEMPRE” ; featuring Harvie Swartz on bass and Ron Vincent on drums, the record turned out to be a landmark in Di Marco’s career: during that same period he received from New York City the “1993 Award of Excellence” for his outstanding contribution to society through his compositions and performances. The album “Best & Unreleased” containing his biggest hits, was produced immediately afterwards, featuring Chris Woods. In November 1998, Marco Di Marco recorded his twelfth album, once again in New York, which he entitled “Marco Di Marco in New York /MY POETRY” (quartet & quintet). This time the album was recorded together with his American musician friends Harvie Swartz, Ron Vincent, Adam Kolker and Memo Acevedo. In September 2003 Marco Di Marco performed at some concerts in Paris and a month later, in October 2003, he recorded his new album in London, produced by Arision Recordings Ltd, titled: “Marco Di Marco / My London friends” (quartet & quintet) with his international group featuring the tenor & soprano sax, flute player Nathan Haines, and with Andy Hamill and Robin Mullarkey, bass, Eduardo Marquez, drums, Pete Eckford, percussion. The great worldwide success of the album Marco Di Marco “My London Friends”, (produced on CD and 2 LP by Arision Recordings Ltd) has led to him to an exciting concert at the “Jazz Café” in London, with his quintet, broadcasted in Italy by RAI Radio 2 on Christmas Eve 2005, and a special interview by Fuji, the Japanese National Television. During the last year, Arision Recordings Ltd released in CD the previous Di Marco's albums "Un Autunno a Parigi", "At the Living Room" and "Together in Paris". In November 2006, after several European concerts, Marco Di Marco featured again at London "Jazz Cafè", in Colchester and at London Jazz Festival. In December his new live piano solo album came out: "EVENT Marco Di Marco in concert at the Recital Hall, Carnegie Hall, New York City"
In June 2007 Di Marco received the high award of "Knight for Merit of the Italian Republic" from the Republic President Mr. Giorgio Napolitano, in honour of his worldwide outstanding artistic activity. In December the major Canadian broadcasting stations in Toronto consecrated two whole transmission, one hour each one, to Marco Di Marco, featuring a long English-speaked interview of him and broadcasting his biggest hits (105.5 FM and Jazz Fm 91). Au mois de mai 2008 il a donné un concert au piano solo à Washington dans un cadre merveilleux de l’Auditorium de l’Ambassade Italienne lors de la semaine des célébrations de la Culture Européenne. In October 2011, Manhattan Academy of Music in New York presented him with a special “2011 Award of Excellence“ in recognition and “in honour of a learned and original composer of great refinement and a sensitive pianist with a strong personality who represents in the world of modern music one of the most important artists of our time“. In October 2012 Marco Di Marco performed his Italian tour with his new American trio featured by Chuck Israels on bass and Bill Goodwin on drums (Teatro Comunale, Bologna , Torrione S, Giovanni, Ferrara , and Teatro Sociale, Rovigo). On September the 23rd, 2013 the famous pianist Lang Lang, at the end of his solo concert at Teatro Manzoni in Bologna, asked to meet Di Marco personally and get his CD “EVENT" live at Carnegie Hall in New York directly from his hands, highlighting an immediate and sincere feeling of reciprocal esteem and friendship. In December 2013 his new album "Marco Di Marco Trio Live in Paris", featuring Jacky Samson on bass and Laurent Bataille on drums, came out.